'New Zealand probably has more resident birds that can't fly than any other place on earth. I'm told that long ago these birds could fly but life was so good in their land and enemies so few that they saw no reason to exercise and develop their God-given talent, and thus they let these attributes fall into disuse. If you don't use the talent, you lose the talent, and that's exactly what happened. 'We don't want to be like the Kiwi bird. Faith may have been handed on to us, but if we let it lie dormant, it will surely wither. 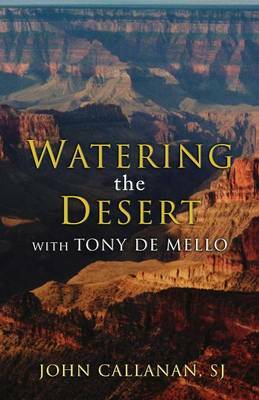 The philosophy of life and prayer practices offered in this book capture some of Anthony de Mello's unique holistic approach to spirituality. Wherver he went, de Mello touched the minds, hearts and spirit of his listeners.' This book hopes to continue his work. It blends the rich insights of Eastern and Western Spirituality, thus encouraging Christians to keep going in their search for truth and vibrancy.